Elle Macpherson who is now 54 has a fit and healthy body of a 21-year-old in my opinion. Looks fantastic. She has not always found keeping this way easy as she used to suffer from digestive problems and spent much time researching and finding a solution. She does not always have breakfast at the traditional time she may have it later if she has been eating later in the evening. In the mornings she always wakes up and has a glass of hot water and lemon then a green juice . It is her own brand of Super Elixir Greens that she adds to her juice. Her secret to a glowing skin is alkaline water. She prefers drinking it with lemon cayenne, turmeric and a bit of stevia to taste. She also enjoys sipping on rosewater spiked with sparking water. She now follows a plant-based alkaline diet and drinks 3 liters of alkaline water a day. She says that a good smile, good teeth, good hair and good skin plus a good mood is worth a thousand injectable and Botox and facial masks. I Agree . 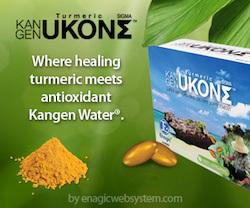 On waking, I have 3 large glasses of the ionized Kangen water and honestly it makes you feel energized and miss it when it is not Available to me. 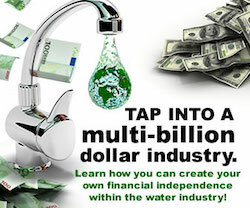 I have just had 3 weeks in NZ and tried hard to drink tap water as I did not have kangen water available. I am afraid I let myself get a little dehydrated. Could not wait to get back to my machine. 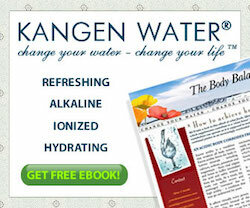 Kangen water makes a difference. I was fascinated by this article from the National Geographic website on this subject. “But why would sick people smell differently in the first place? The key is that our bodies are constantly launching volatile substances into the air. They’re carried in our breath and literally ooze from every pore, and they can vary depending on age, diet, and whether an illness has thrown off some cog in our metabolic machinery. Microbes living in our guts and on our skin also contribute to our signature scent, by breaking down our metabolic by-products into smellier ones. The article tells of a woman who can smell Parkinson’s which brought attention to the idea of sniffing for disease. Anyway it is an article worth reading. Humans bodies emit hundreds of volatile organic compounds that can affect our personal scents. When people have various illnesses or conditions, changes in these chemicals can affect the ways our bodies smell. You Know we learn every day about the benefits of lemons in our diet. Here is another way to make use of those lemons. It seems if you have a healthy lemon tree it produces more than you can eat so this is a great way of preserving them and getting all the benefits. Enjoy cause “If you don’t do different nothing will change”. I written many times on this subject. I cannot emphasize enough how important it is that your body is in an Alkaline condition. It is essential to good health and prevent cancer, as cancer cells do not grow in an Alkaline environment. When your body is Alkaline you will not have a weight problem, you will have more energy and you will be more alert as your brain function will be sharper, you will be stronger and an Alkaline diet is very anti – aging. It is not always easy to keep it this way the temptations of fast food and dining out on rich type food is all around us but to make a habit of it can be hard on your health. We all fall off the wagon from time to time, but as long as it is not part of your permanent lifestyle I think it would be safe to say you can jump back into a healthy diet the next day without too much damage. I believe we can get a bit boring when we become eccentric about our eating habits and we end up not enjoying our food and no one enjoys having you over for dinner because you have become so picky. Just relax and don’t stress over it. Stress is another thing that can destroy an Alkaline body, but that’s for another day. I believe that once you have changed your diet and spend time cooking healthy food you will notice the difference and not get the same pleasures out of tasteless (sometimes tasty) fast food. 2. Melon: Any kind of melon is great at cleansing the colon, and at a pH level of 8.5, they are super alkaline. Watermelon is especially good for you due to its high fiber and 92% water content. 3. Buckwheat: It will kick-start your day by improving energy and can even help prevent cardiovascular disease. 4. Olive Oil: This tasty oil is rich in vitamin E and monounsaturated fatty acids. 5. Flax Seed: Not only are they alkaline, but flax seeds are also high in fiber and vitamin E. They can reduce inflammation and hot flashes in menopausal women. 6.Avocado – Has healthy monounsaturated fats for a healthy heart. 7. Bananas – When ripe, bananas can an excellent superfood! 8. Berries – High in antioxidants. 9. Carrots – Contain beta-carotene and will improve eyesight. 10. Garlic – Has the power to regulate blood pressure. 11. Broccoli – Steam it for cholesterol lowering benefits. 12. Grapes – High in multivitamins and antioxidants, grapes will lower blood pressure. 13. Pineapple – Will help with weight loss. 14. Alfalfa Sprouts – Easy to digest and rich in enzymes to keep your hormones balanced. 15. Lemons– One of the most alkalizing food, lemons also aid in cold, cough and flu relief. 16. Brussels Sprouts – May prevent cancer. 17. Sauerkraut – Fermented foods add probiotics to your diet. 18. Cauliflower – A healthy substitute for bread! 19. Grapefruit – Good source of vitamin A and C.
20. Seaweeds – Contain iron and are powerful acid reducer. 21. Quinoa – Will maintain healthy blood sugars. 22. Cucumber – Its 90% water content will keep your skin healthy and youthful. 23. Parsley – Will clean the intestines. 24. Mango – Great for cleansing the colon. 25. Spinach – The ultimate, vitamin-packed vegetable. 26. Oranges – Great for clearing a cold. 27. Papaya – A natural laxative to keep your colon clean.